BLOOMINGTON - Bond has been set at $7 million for a man charged with fatally shooting three men and wounding a 4-year-old boy at a central Illinois apartment complex. 25-year-old Sydney T. Mays Jr. made his first court appearance in Bloomington on Friday. He faces first-degree murder and attempted murder charges for the June 18 shootings. Mays was arrested in Milwaukee during a July drug bust, after police had appealed to the public for help finding him. He's being represented by the public defender's office. A defense attorney couldn't be reached for comment Saturday. Killed in the shooting were 22-year-olds Corey Jackson and Nathaniel Pena and 33-year-old Juan Perez-Macedo. All were from Bloomington. Pena's son also was injured. 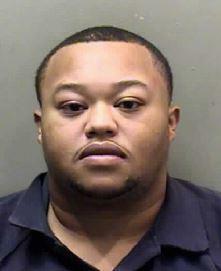 Mays is scheduled for an arraignment on Nov. 2.